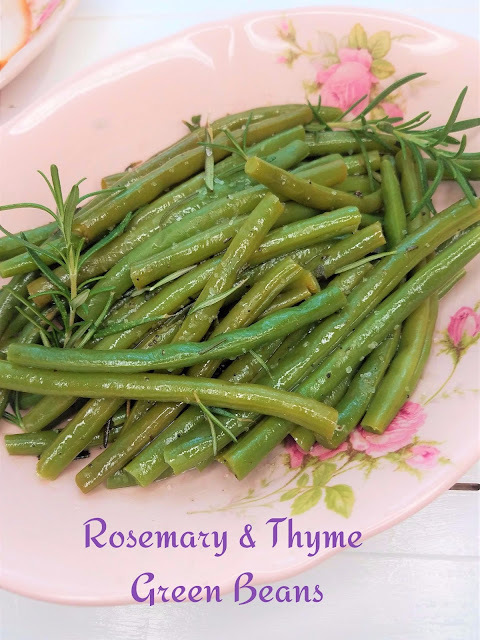 The first steps to getting past boring green beans or the dreaded green bean casserole (if you don't like it) is using herbs for flavor such as the Rosemary and Thyme in this dish, as well as flavorful glaze over the beans that will make them irresistible. This dish could not be more simple to make It literally only takes minutes to throw together, yet as my husband will testify, the flavor is so good, you'll smack peoples hands as they keep sneaking green beans outta the bowl before the meal! To quote my husband: "I was surprised at how great the flavor was. 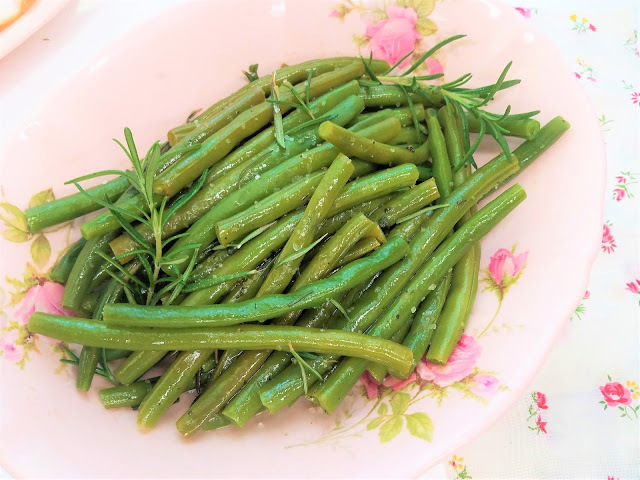 for ordinary looking green beans, they were really full of surprises!" Of course I had to serve mine up in my grandmothers china bowl. It wouldn't be a family meal if you didn't cherish and bring back the memories of the ones we hold we dear through stories, dishes, recipes, and photos! Today it's her pretty pink china! 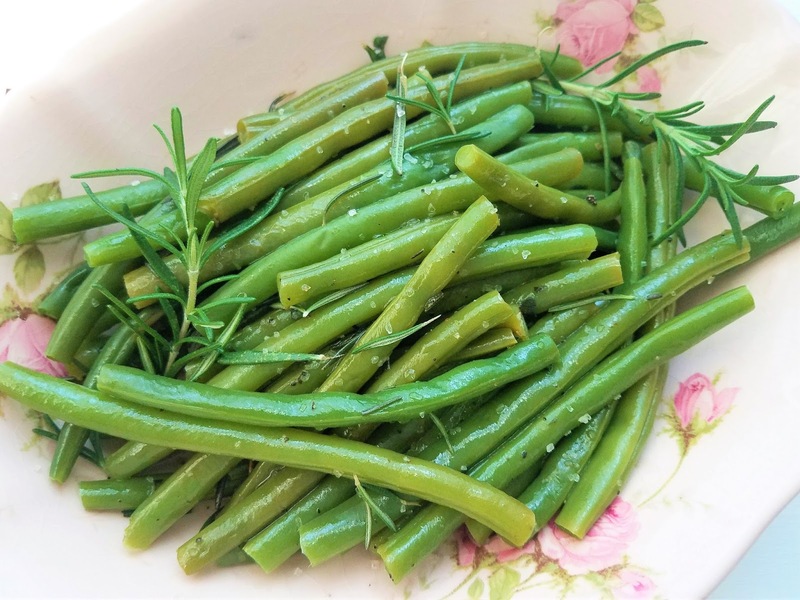 Place beans in a medium saucepan and cover with water.Bring to a boil, then reduce heat to low and simmer for 4-6 minutes or until tender-crisp. Drain. Return to pan.Toss with Vinegar, Oil, Rosemary, Thyme, Sea Salt, and Pepper.Cook and stir over medium heat 1 to 2 minutes or till heated through.